Tang Fong was born 1877 in Sam Soy, Guangdong Province in southern China. At a very young age, Tang Fong had become very fond of martial arts. His father was good at Maoshan sorcery and had some knowledge of martial arts. He also followed the “code of the brotherhood.” Tang Fong eventually moved to Guangzhou were he began his study of Chinese boxing at Master Wong Yu’s martial arts school which was located in De Xing Li. But Wong’s teachings emphasized leg positioning and waist bending and maintained a strict study of only these two aspects for a year. After a year had passed, Tang Fong became dissatisfied with Wong’s teachings, so he transferred to Wah Lum Temple to learn from Buddhist Master Yeun Yin. He learned his Left-Plum-Flower spear set from this master. Tang Fong admired the well-known martial artists Master Wong Fei Hung whose martial arts skills had their origin in the Southern Siu Lum Temple. His martial arts had been passed on from Luk Ah Choi and Hung Hei Gune to Wong Kay Ying and from Wong Kay Ying Wong Fei Hung. 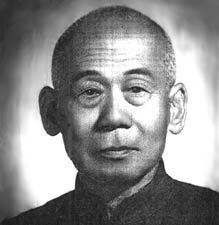 Tang Fong became a student of Wong Fei Hung in order to learn Hung Kuen–barehanded exercises. Having mastered these exercise, Tang Fong established a martial arts school at Yong Xing Heng Street, West Chang Shou Street, West Guan, in Guangzhou. He taught many students and became known as “The Tiger of West Guan.” He was once employed in the army as a military arts officer. Because of this, he was able to recruit students from everywhere. Finally, he went to Hong Kong to set up a martial arts school. He also held the concurrent post as a Chinese doctor, specializing in treatment for bruises, sprains and similar ailments. He served the poor and his superb medical skills were highly praised by the citizens of Hong Kong. Tang Fong established a strong reputation during his time in Hong Kong. He was an excellent teacher known for his strong and stubborn traditionalism. Due to his traditionalism he was nicknamed Lo Wun Kun – old square mind. He was very strict with his teaching and always ensured his students trained hard to achive high level of skills. The information contained on this page is gratefully reproduced with the permission of Hung Kuen Net.